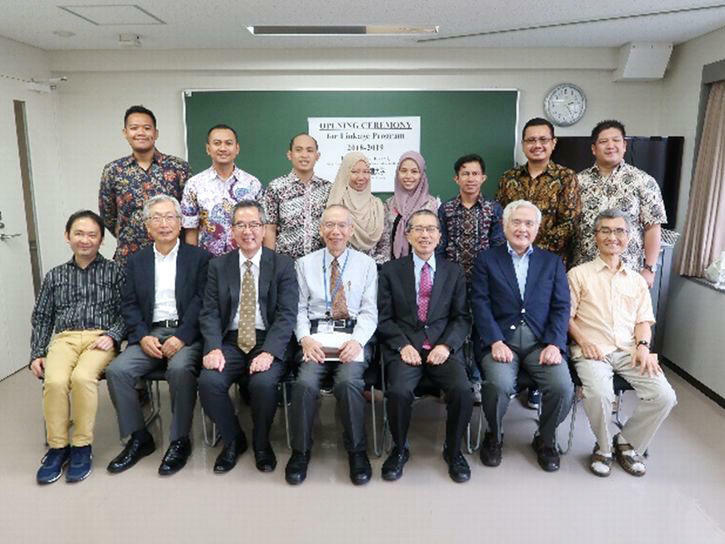 Entrance Ceremony for the new participants in the Indonesia Linkage Program was held on September 13, 2018 on the Bunkyo Campus of Takushoku University. Eight freshers entered the program to study at the Graduate School of International Cooperation Studies (GSICS) from September this year through July 2019. 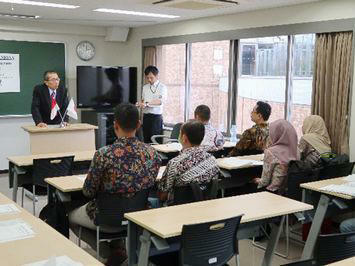 Professor Akio Kawana, President of Takushoku University, delivered a speech to welcome the eleventh class of the program, referring to a long history of constructive relations between Indonesia and Takushoku University. Professor Kawana was followed by Prof. Fumio Yoshino, acting director of GSICS, who talked about the development of the Indonesian economy in recent years and encouraged eight freshers to contribute to further development. The freshers, on their part, took turns to express their own determinations. 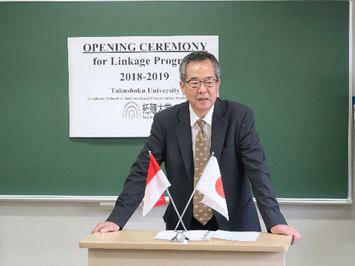 Indonesia Linkage Program is a double degree program designed to train Indonesian local government officials in English so that they can earn master's degrees from both Indonesian and Japanese universities. GSICS started accepting Indonesian students in 2007 and, as of today, more than 100 have completed the program and returned home to contribute to the country's development.